1946, Verses and a Comedy. London: Chatto & Windus. 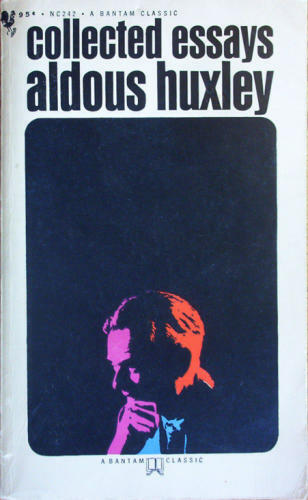 1947, The World of Aldous Huxley: An Omnibus of His Fiction and Non-Fiction over Three Decades. Ed. Charles J. Rolo. 1957, Collected Short Stories. Franklin Center, PA: Franklin Library (1981). 1959, Collected Essays. New York: Harper. 1961, Selected Essays.